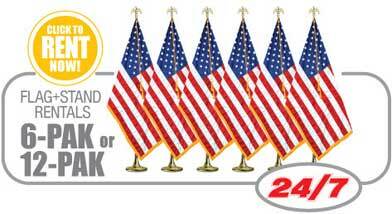 Big Flags - Huge Flags - Giant Flags - Flag Rental & More! Flag Rental, Event Design, Giant Flags & More at Event Arts! Get colossal flags, flag rental and more at Event Arts. We rent and sell flags of all sizes and types, as well as bunting, banners, signs, pennants and huge custom structures. 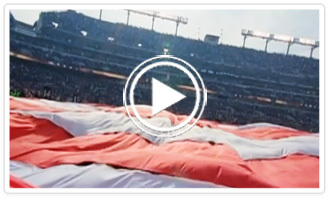 We have designed and produced some of the largest flags in the United States. For assistance, call us toll free at 1-877-941-3524 or Contact Us Here. The ULTIMATE resource for political events, government and state gatherings, giant backdrops, sporting events, conventions, photo opportunities, television and movie production, event planning, flag rental, huge flags and more!